I don't mess with my cookie recipe much. Sometimes, I change up the extracts or add vanilla bean paste, but usually I stick with what works. Fall spices were calling to me, though, and I thought I'd try to use them in a cut-out cookie. It worked!!! These cookies are lightly spiced with cinnamon, nutmeg, ginger and allspice. I replaced half with sugar with light brown sugar. The cookies ended up slightly softer, but still sturdy enough for decorating. 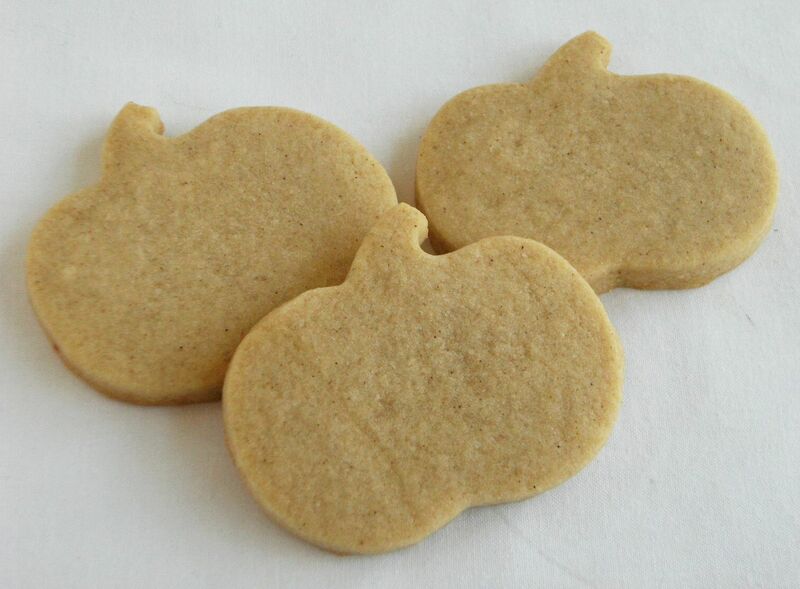 If you're making cookies for Thanksgiving, these are perfect! Whisk the flour, baking powder and spices, set aside. Roll on a floured surface and cut into shapes. Place on parchment lined baking sheets and bake for 9-12 minutes, depending on the size of your cutter. Let sit a few minutes on the sheet, then transfer to a cooling rack. 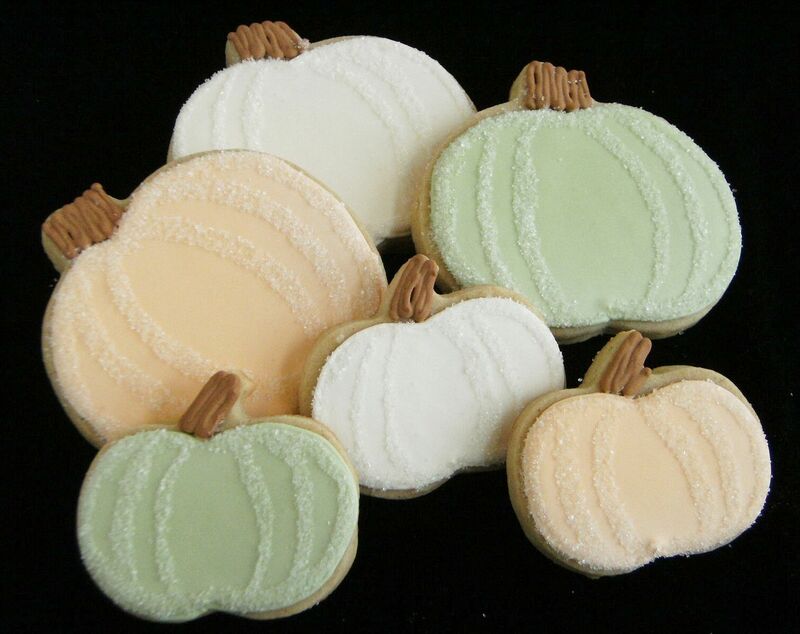 To decorate these cookies, I used pale green, ivory and light orange for the pumpkins. After being outlined and filled, they dried completely overnight. For the sparkly accents, mix a small amount of meringue powder with water. With a child's paintbrush, paint the area you would like to be sparkle-d (that's a word, right?). These are waiting in the freezer to be donated on Thanksgiving for Drop In & Decorate. Are you making some, too? If so, I'd love to have pictures and details of where and how many cookies you donated by December 10th. Thank you! <3 i love them. i love them even more that you are donating them. How pretty are these?! I will most definitely be trying these out! These are beautiful! I love the addition of all the wonderful warm Fall spices. Holy smokes! Does your hubby know? LOL! Thanks for the sparkle tip! I'm not terribly crazy about the taste of sugar cookies so these are really calling to me. 221 that's a bunch!!! 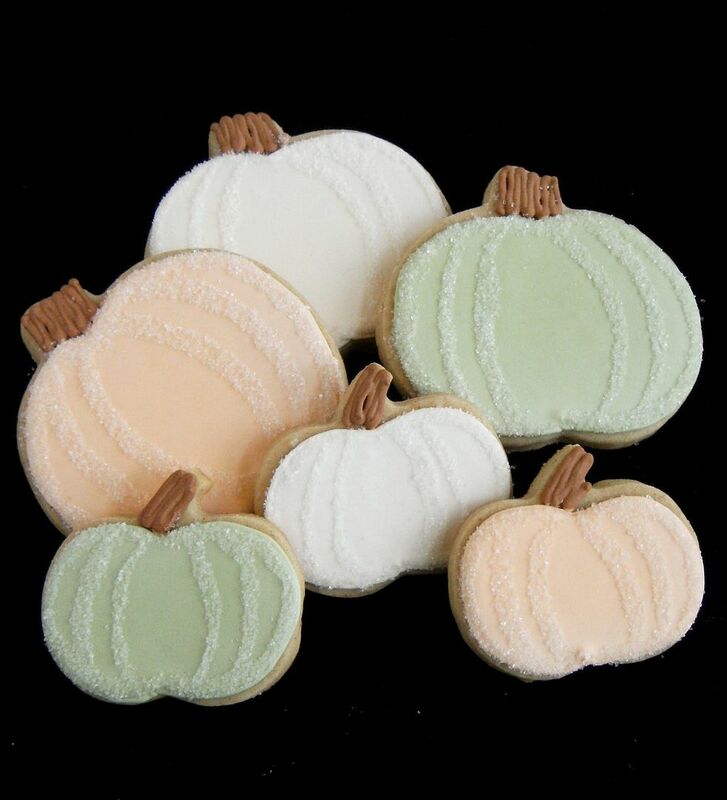 Love the pumpkins in the pastels! what cute cookies! Ideally for fall. I love the fact that you spiced them up :) Very nicely decorated. Those look yummy! Will definitely try! And I was pretty close with the cutters! Such beautiful cookies! I have let's see...6 I think. Maybe less. Haha! I think I'm in love. Those are amazing colors you used on the pumpkins! What a great change from the usual bright orange, green, and deep brown. The sparkles are a lovely touch. Where do you come up with these ideas?!?!?! P.S. Wow, that's a lot of cookie cutters! How do you store them? So pretty! 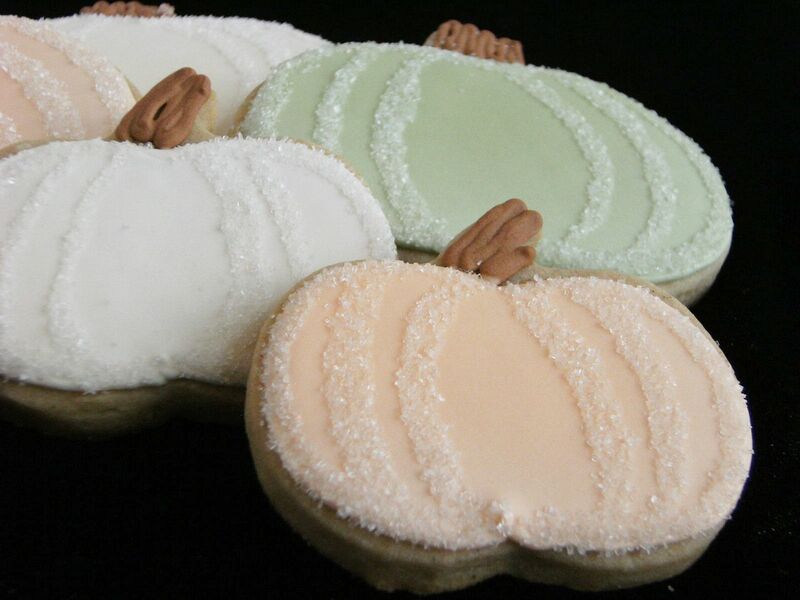 I love adding the "pumpkin flavors" to cookies really feels like fall. What pretty colors they look great! Bridget...Bridget...Bridget! I am so tickled that you posted about these spiced iced cookies! They are LOVELY! You are just so good at what you do! Sure wish you could fly into Seattle...ferry over to Bainbridge...come into my kitchen and make cookies with me! Oh! Now I want to make these for Thanksgiving! Thanks!! great idea! I never thought to add brown sugar to the mix, I bet they will be perfect for this time of year! Hey Bridget! Just checking in on your wonderful creations! I am still alive, just taking a break from blogging. I am doing some baking today and making fudge. Take care and have a wonderful Thanksgiving! Yay on the success! Adorable decorating as always. Those are completely adorable! And those pale colors are beautiful. Thanks for the tip about adding sparkle. these looks amazing and the recipe sounds fantastic! Oh, I love these! I can see those lovely spices in the unfrosted cookie, and they look amazing. Yum! I accidentally came across your blog about 2 weeks ago. Ever since then I've been wanting to try to make decorated cookies. I tried my first batch last night and I'm in love. I made several mistakes, but I managed to overcome them. Like using too much red coloring and having to throw it all out (yuck!) or making the piping way too dry at first. But all in all I'm hooked and now I can't wait to try these spice cookies for Thanksgiving. Thanks for this great blog. I do have one question and maybe you have answered this before, but .. 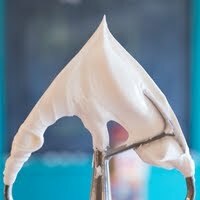 If I want to have a slight gloss to the icing, how do I do that? These cookies are beautiful! I'm going to make (attempt to make) turkey cookies today we'll see how the final result turns out! Thanks for sharing this recipe! I'm going to make them today! These are absolutely gorgeous! Where do you typically find meringue powder? These are beautiful! Can't wait to try the cookie recipe! Gorgeous cookies! I am totally making these now! Beautiful! I'm going to add these to my to bake list! That sanding sugar technique would be SOOO cute on snowmen and snowflakes too! I think they need to add "sparkle-d" to the dictionary! How'd I miss the # of cookie cutters guess? Megan....you can find it at craft stores or event the craft section of WalMart. I prefer the one sold at Williams Sonoma or Ateco brand which is sold online. These are so beautiful! The colors and the addition of the sparkle - perfect! Unbelievably gorgeous. I am just so motivated by your beautiful work. I think I've read every inch of your blog, but wanted to clarify something you said in this post. You said the cookies would be waiting in the freezer for your drop in and decorate. I read your post about freezing un-decorated cookies. Are these in your freezer decorated? What a great idea to add holiday spices to a stand by cut out cookie recipe! It seems simple enough but I've honestly never seen it done. I LOVE your sugar decoration - so beautiful and elegant! LOVE LOVE LOVE! so cute. I need lessons! Love the addition of the spices! Can almost smell them from here!I,also, have my favorite cut out recipe, but looks like it's time to try some additions like yours! Thanks! Beautiful cookies- as usual! oh wow! these look great! 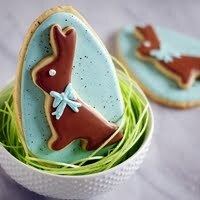 i think i see some of these cookies in my near future. as in thanksgiving future... along with those awsome pumpkin whoopie pies!!! one of these days i'm going to have to master the whole decorating thing again. i can't get my cookies to look nice like yours. maybe could you re-visit that in another post sometime soon? thanks so much for sharing this recipe- they look so sturdy for decorating! I love the pale colors on the pumpkins too, they are so beautiful! The spice combination sounds delicious - thanks for sharing! These are so cute!! I wanted to make something semi-fancy for Thanksgiving, so I think I'm going to try these! The problem I usually have when cutting the cookies into shapes is that the cookies spread alot while they're baking and kinda lose their shape, and end up really big cookies. Any tips to help prevent spreading while they're baking? I think my first problem was trying to use the pre-made dough... So I'm hoping that using this recipe will make a difference too. Thanks so much for your ideas!! so, so, so cute! I'll be baking a bunch of turkey cookies and dropping them off at our local homeless shelter, does that count? Yes, Mandy...absolutely, that counts! :) Let me know the details. These cookies taste amazing! I have never strayed from my plain-Jane sugar cookie recipe, but I had to give these a try. I made turkeys, and so the icing was mostly brown = chocolate. The chocolate icing together with the spiced cookie was awesome! Thanks for a great recipe! We are one of those families that has benefited from the local soup kitchen often. Actually, we are going to a Christmas party there this year, and I was hoping to make a kazillion of these to donate for that event, but I can't figure out how to make the lovely icing,...royal icing,..maybe? Thank you for the recipe--AND the inspiration!!! God Bless! Hi Barbara...if you click on the "recipe index" up top, you'll find a recipe for Royal Icing. Thank you!!! You have no idea how much I've been searching for exactly this kind of cookie! bless you! 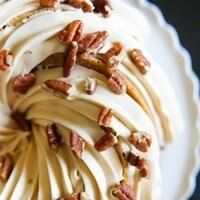 Can you share with me how you made the frosting? I'd sure love to make these and you can bet I'll blog about them when I do. A Feast for the Eyes......if you click on the "recipe index" up top, you'll find a recipe for Royal Icing. I can't believe how gorgeous these are. Wow. You are so talented. 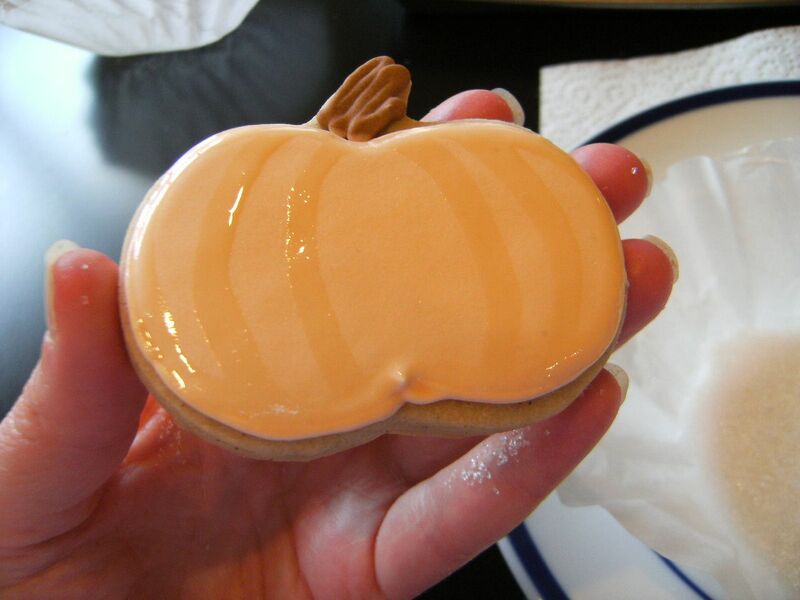 I just posted a Fall cookie post and wanted to let you know so you could take a peek since you're the queen of cookies! I used maple extract instead of almond for the fall flavors. I do so love your idea though of the spices you added! I love the colors! Beautiful cookies. YUM!!! 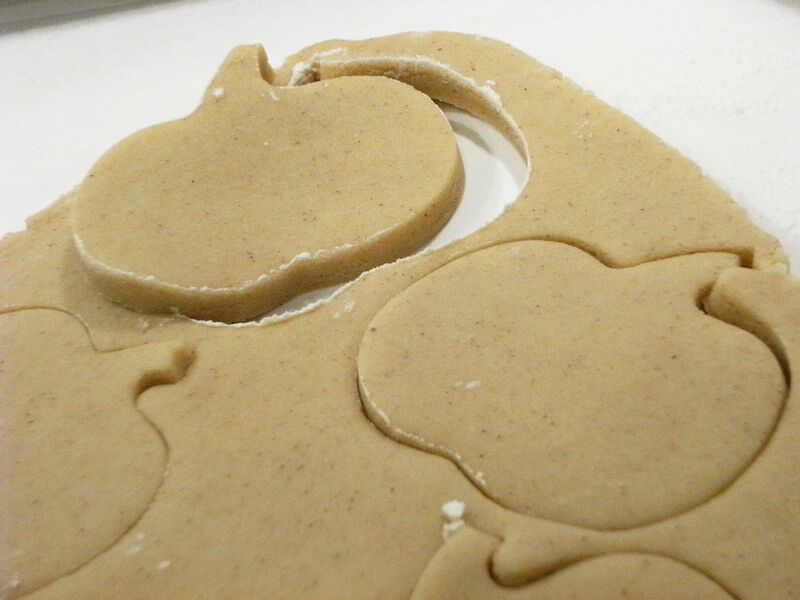 I really need some fall cookie cutters!! Gorgeous Bridget!!! I LOVE the sparkles... now I am feeling I MUST go out and decorate something with sparkles!! I just found your site! I love it! Welcome to my favorites! I can't believe how beautiful these are!! You're amazing! I made these on Wednesday night for Thanksgiving and they were great. The spices were great for this time of year and they smelled soooo good when they were baking! I had to make another batch today because I didn't even get to try one yesterday before they were gone. Thanks for sharing! And congrats on your new little nephew! L...yes, click on the recipe index at the top and you'll find the royal icing recipe. You can get meringue powder online or at Williams-Sonoma. You'll also find Wilton brand at craft stores. Did you make a thicker frosting for the pumpkin stems? I like their texture. These look amazing! I am excited to make them for a pumpkin carving party tomorrow. I was wondering what icing you used? Thank you! 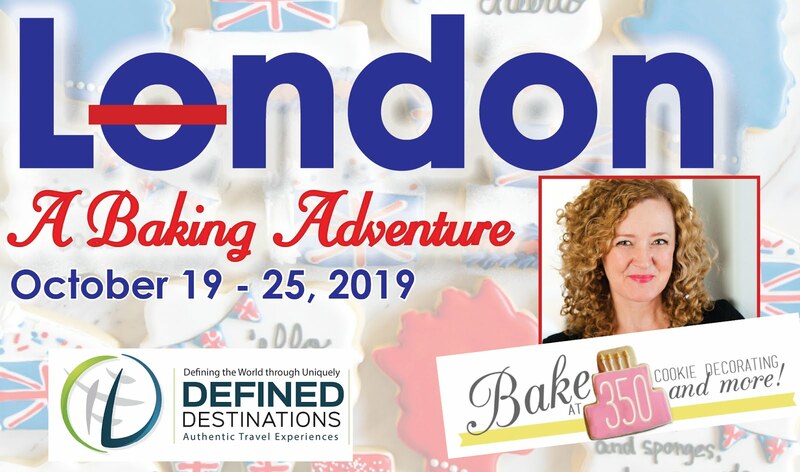 When we were trying to sell our last house/condo, I baked spice cookies before showings which created a wonderful aroma, and I think it must have helped make a quick sell! Oooh those look so yummy- thanks! Question- do you store fresh vanilla beans in sugar then use them for something else, or do you store the vanilla bean pods you used for something else in the sugar? TY!! 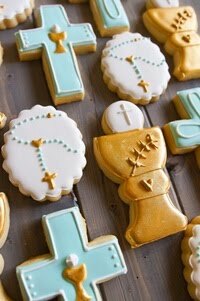 I am not a big sugar cookie fan..frankly, I don't have much use for cookies that don't include chocolate! 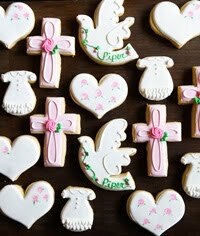 But I made these cookies for a baby girl shower - GRACIOUS! These are awesome. So, so yummy! Thank you for sharing the recipe! I am making fall leaf and acorn cookies this weekend (like the ones Callye made recently) and I think this recipe would be perfect for them. Even though it's going to be close to 100 degrees here in L.A., fall flavors are calling me! Thanks for sharing such amazing recipes and ideas! My sisters birthday is coming up and Im going to make some frog sugar cookies, using this spice recipe. I just wanted to ask before baking, in case you knew...I only have the dry granulated style brown sugar. None of that pretty moist, pack it in brown sugar. Do you think the lack of moister in the brown sugar will effect the cookie recipe negativly? Omg. I just made these for my coworkers for tomorrow and they're so amazing. I don't typically like making my own cut out cookie dough (bad, bad, bad experience with it when I was in seventh grade. Horribly traumatized.) but I thought I would conquer my fears today with this recipe since the store-bought dough never seems tasty enough. They came out perfectly. Not only did they roll-out easier for me, but they baked up nicer and they taste amazing. The only change I made was that I didn't have Ginger, so I used cloves instead. Still very tasty. my dough my a bit sticky after mixing everything up. should i add more flour or refrigerate? How do you know how much spices to add to a sugar cookie recipe? How does it work? 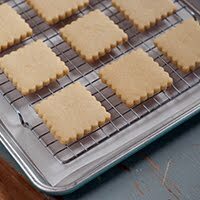 I have a sugar cookie recipe that I really like, but I wanted to experiment by adding lemon extract or other spices, but how do I go about figuring out how much to add. What determines the amount of spices I add to the recipe? I am new to cookie decorating and have never taken a baking class. I have searched the web for more information, but I am not able to find answers. I appreciate any help/guidance you can provide. Thank you. I used your recipe to make multi-colored fall leaf cookies, and I loved them! This is a fantastic dough. I will definitely use it again and again. Thanks. You are awesome! 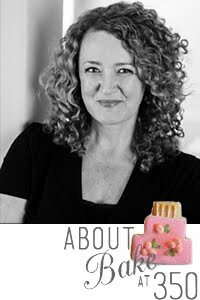 Bridget, Do you use cold, salted butter for this recipe as you do with your vanilla-almond cookies? I'm an unsalted, room temp butter kind of gal, and I don't want to end up with a sticky mess on my hands! Thank you for the recipe! I made these this evening and plan on freezing them and decorating them closer to Halloween. They are a very good cookie, held their shape well, and I enjoyed them. I do think I will add a pumpkin flavored emulsion to the next batch. The flavoring is not overpowering, but the pumpkin spice flavor is very subtle. If you're looking that tastes a bit like a Starbucks pumpkin spice latte or something this will not be that. Still, if I add the emulsion I will definitely make this again. I know you replied to this post a year ago, so I am hoping that you see this. Based on your post it looks like you have experience with freezing cookies. I wanted to make these cookies this weekend and freeze them till Thanksgiving. I was planning on baking and then vacuum sealing then with my foodsaver before freezing. Do you think they would be ok in the freezer until then? If so, could I go ahead and decorate them before vacuum sealing? I would really appreciate any advice you can give me. I am trying to get ahead of the game this year so the holidays aren't so stressful. I made these last weekend, and they were a real hit! I cut them out with leaf cookie cutters, and had six kids decorate them with icing and sprinkles. They were even tasty plain though. Love the fall spices and flavors. My new go-to fall cookie recipe!! Thank you! 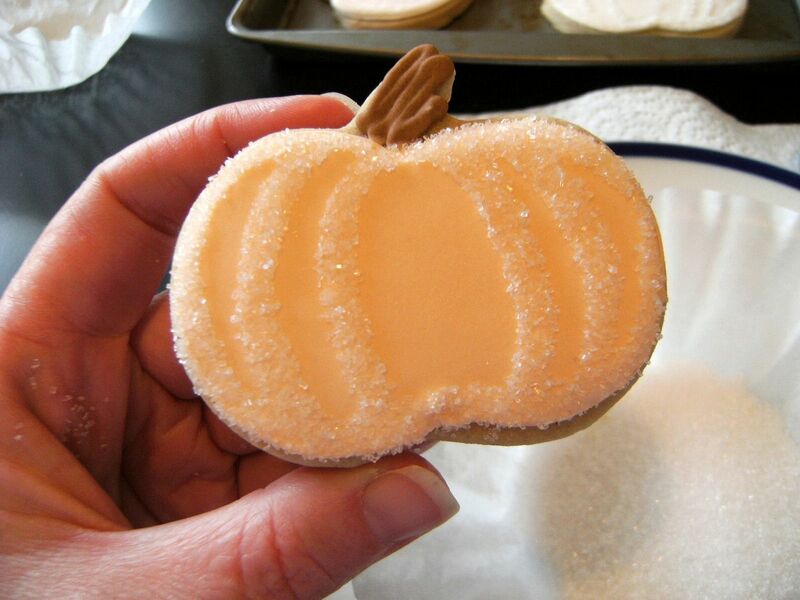 These are by far the best cutout sugar cookies! I make them at Halloween and Christmas, and my family now asks for them <3 Thank you for sharing this wonderful recipe! I am going to make these cookies for my son's harry potter party. Can you tell me if it is possible to make the dough ahead of time and then freeze it? If so, how should I go about doing this? And how long would it need to thaw or warm up before baking? Thank you!